Music can bring light and joy. As iconic recordings go, Queen & David Bowie’s “Under Pressure” (EMI) is one of the most brilliant songs ever recorded. Paying homage to the original, Southern California-based Traveler have updated the song for a new generation of house music lovers. 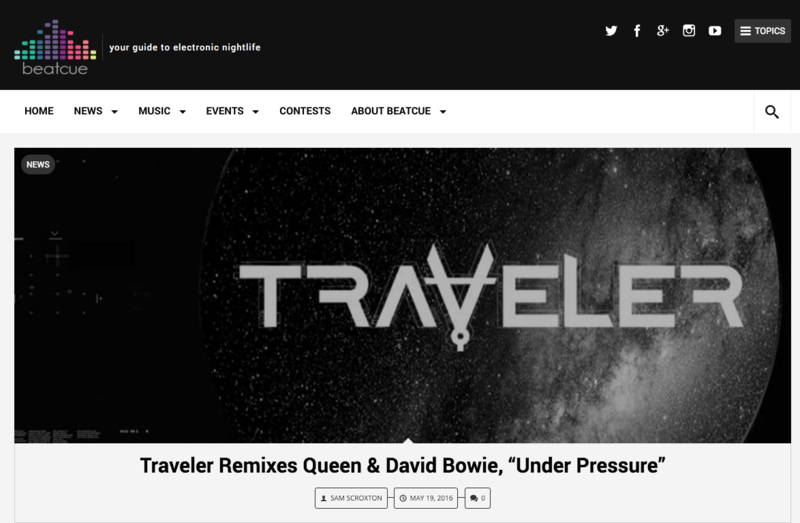 The Traveler Remix of Queen & David Bowie’s “Under Pressure” is out now. This entry was posted on Friday, May 20th, 2016 at 6:11 am and is filed under News, Press. You can follow any responses to this entry through the RSS 2.0 feed. You can leave a response, or trackback from your own site.